In life insurance and health insurance policies, you get what is called the ‘free look-in period’, wherein you can go through the policy document and check out whether the terms, conditions, features and benefits offered by the policy are in accordance with your expectations. In life insurance and health insurance policies, you get what is called the ‘free look-in period’, wherein you can go through the policy document and check out whether the terms, conditions, features and benefits offered by the policy are in accordance with your expectations. The free look-in period is of 15 days during which you can return the policy if you are not satisfied with the terms of offer and get a full refund of the premium paid (excluding cost of insurance for 15 days or less, stamp duty charges, and cost of medical check-up, if any). The opportunity to return the policy is offered by all life and health insurers and can be availed if any insured person feels that he/she was misguided about the benefits of the policy or was missold the plan by the agent of the insurer. The free look-in period is similar to the facility of returning a product if it has any manufacturing defect or malfunctions within a specified period from the date of purchase. The free look–in is mandatory in the case of insurance industry and all insurers are obliged to offer it to all their customers on sale of the policies. The free look-in period starts from the date of receipt of the policy document by the insured person. 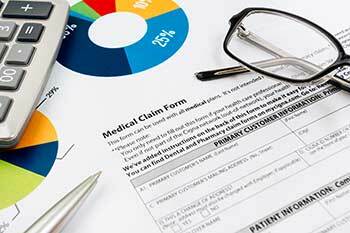 In the case of medical insurance, the free look-in period is available for first-time purchase of the policy and not on renewals of the policy. Also, if the tenure of the policy is less than one year, the free look-in does not apply.